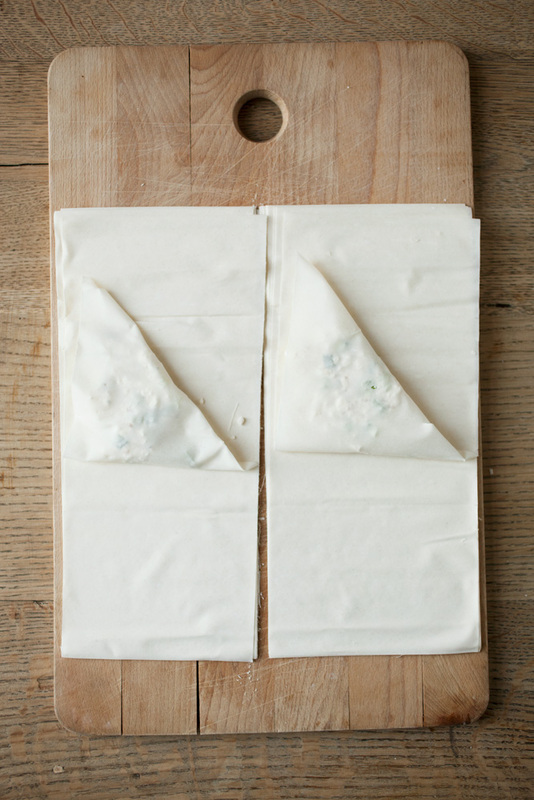 These heavenly pastry parcels full of feta were one of my favourite things to eat as a veggie. They were always at the table at a family get together and I guess if I missed anything since going vegan it was these. 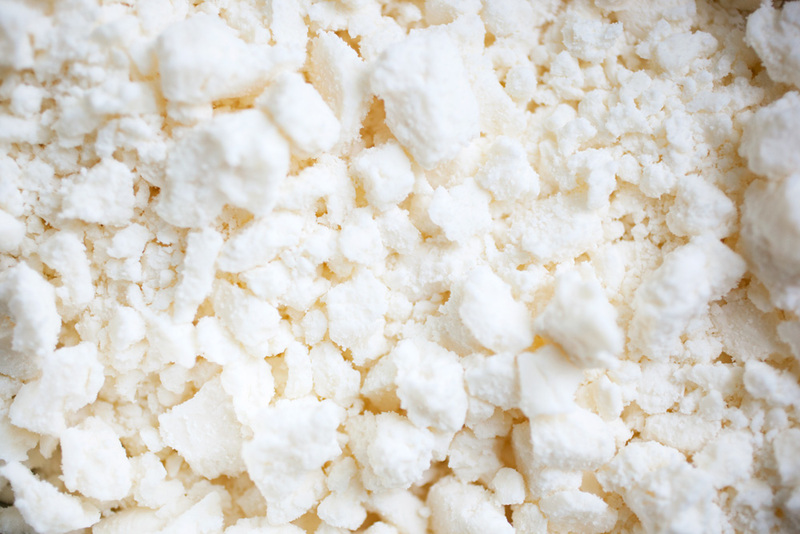 I always feel bit lazy when I buy ready made vegan cheese or soured cream etc, but then I think to myself …hang one a minute…before I was vegan there’s no way I’d be making my own cheese from scratch. 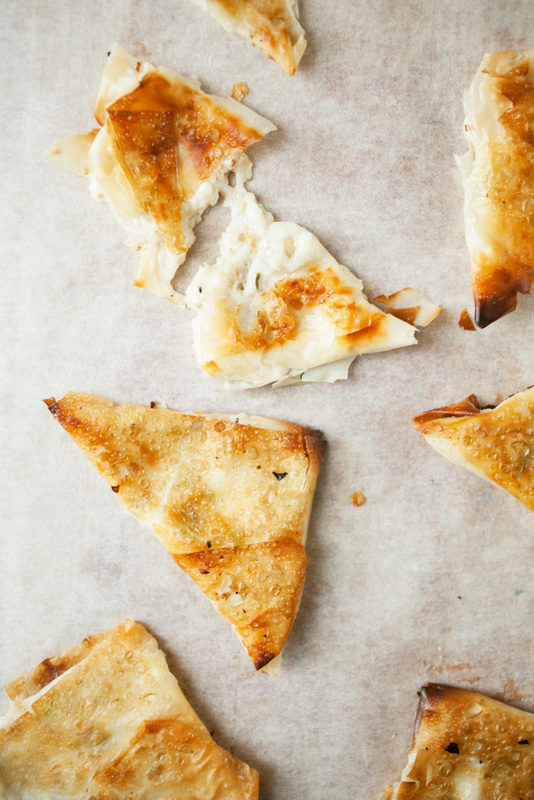 So actually, this recipe isn’t that lazy after all. 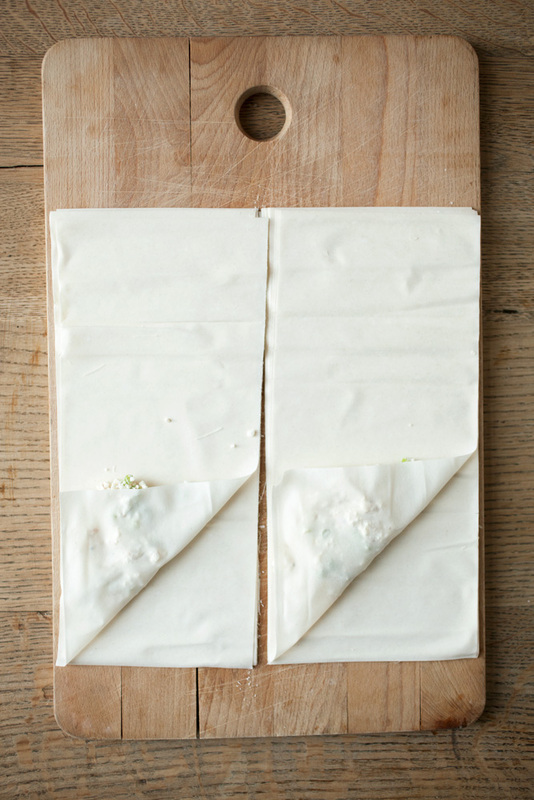 I have to admit… I was NOT a fan of vegan cheese at first. In fact I hated it. 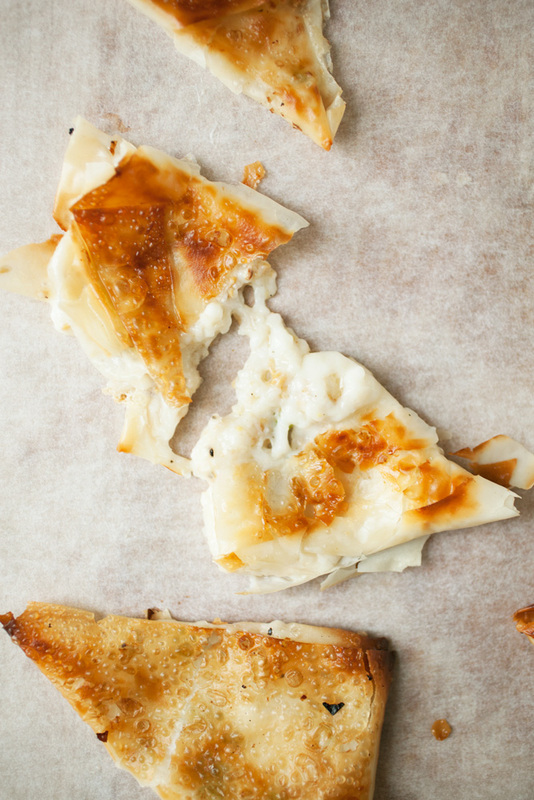 I think over time (and quite quickly in fact) your taste buds adjust and now it tastes like cheese to me. 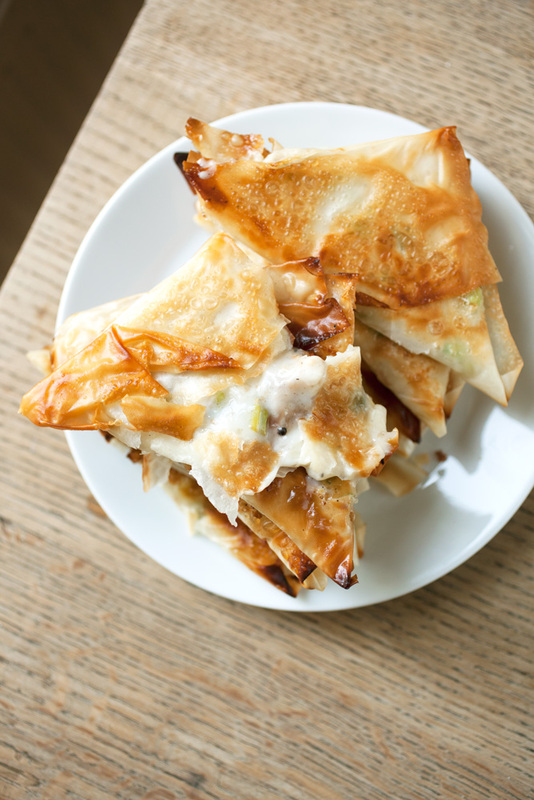 If you’re after a cheesy hit then these borek definelty hit the spot! 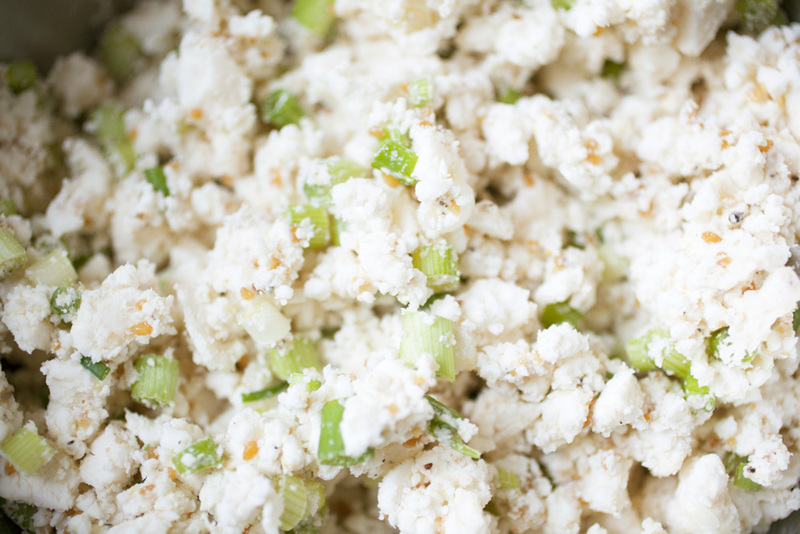 Using your hands or a fork crumble the feta up into a bowl. 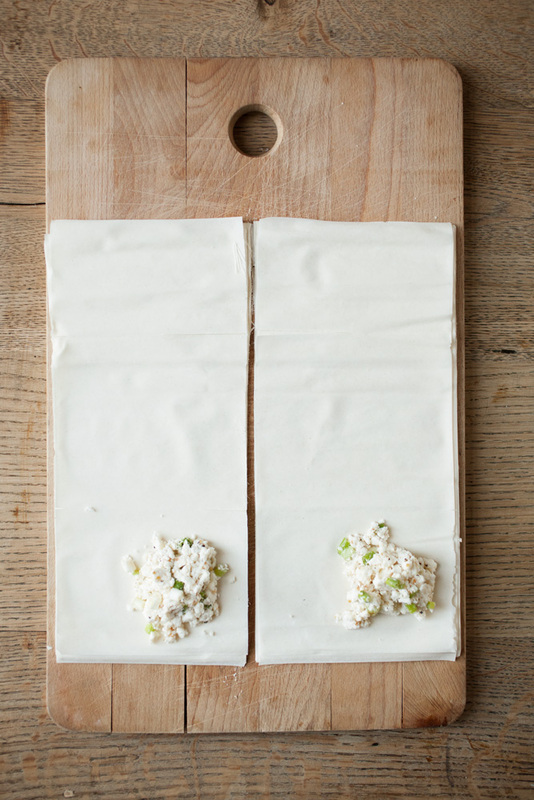 Finely chop the spring onion and add to the feta. 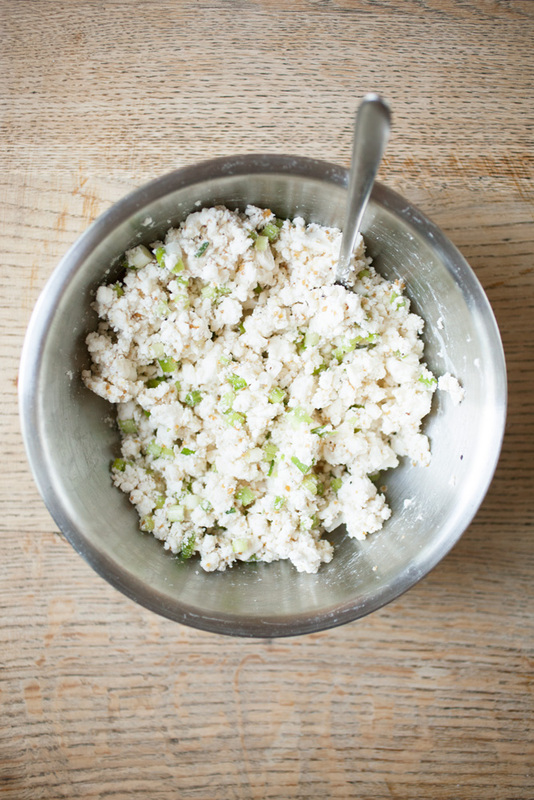 Make the flax egg and let sit for a few minutes, then mix it into the feta along with a genourous pinch of salt and grinding of black pepper. 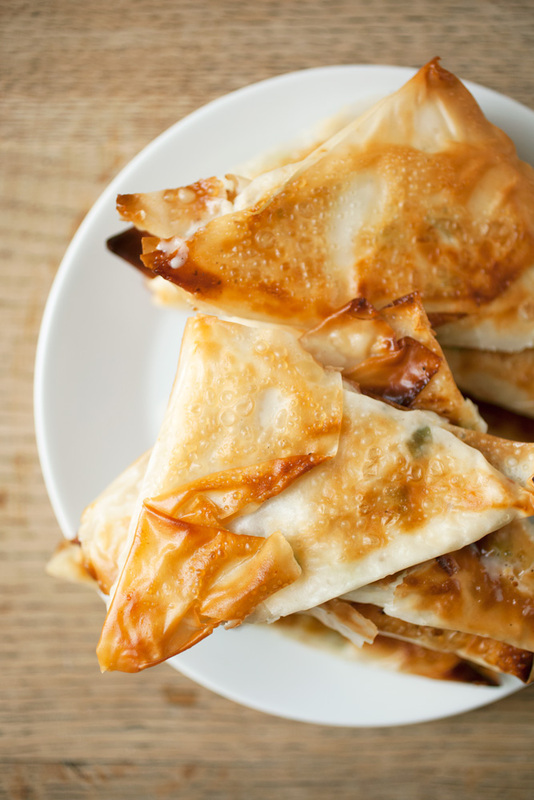 Place a tablespoon of feta on the bottom right hand side of the pastry. 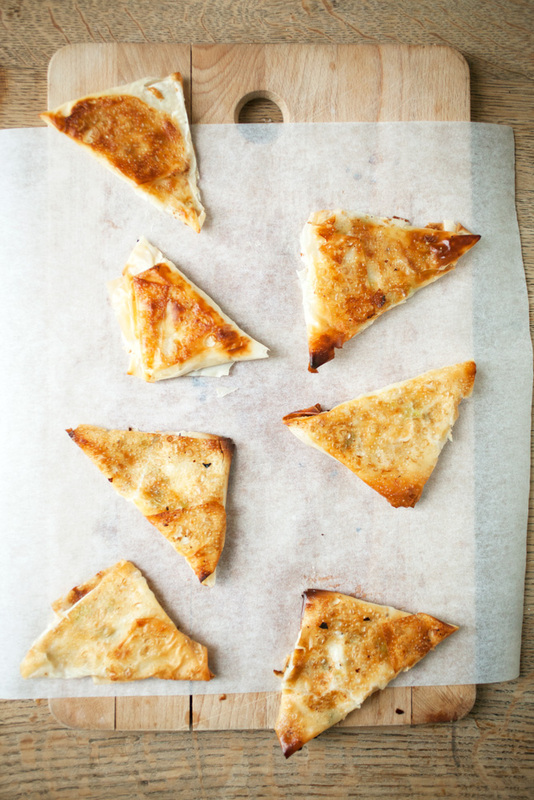 Place your hand underneath the pastry and feta then fold upwards to create a triangle. 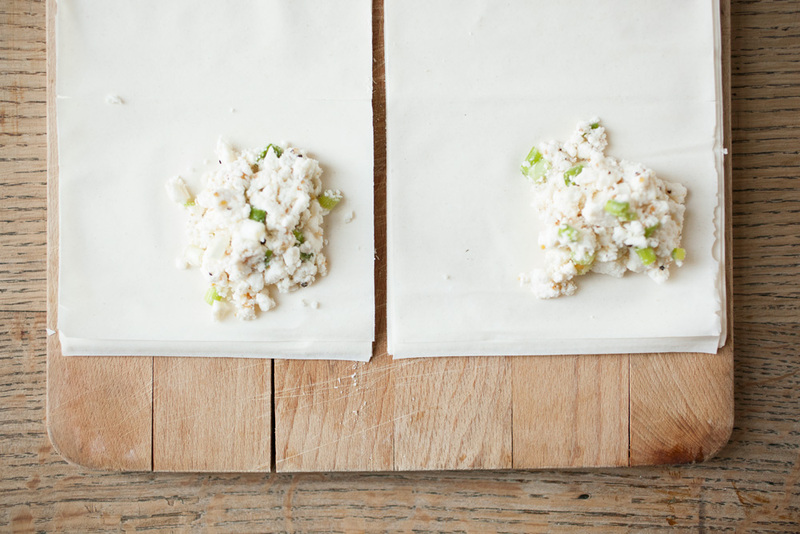 Repeat until the pastry strip ends. Place on a plate ready to be fried. 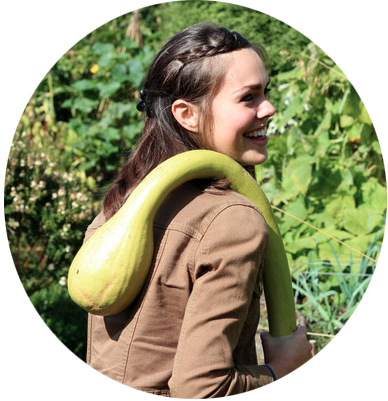 Heat a generous glug of oil into a frying pan. 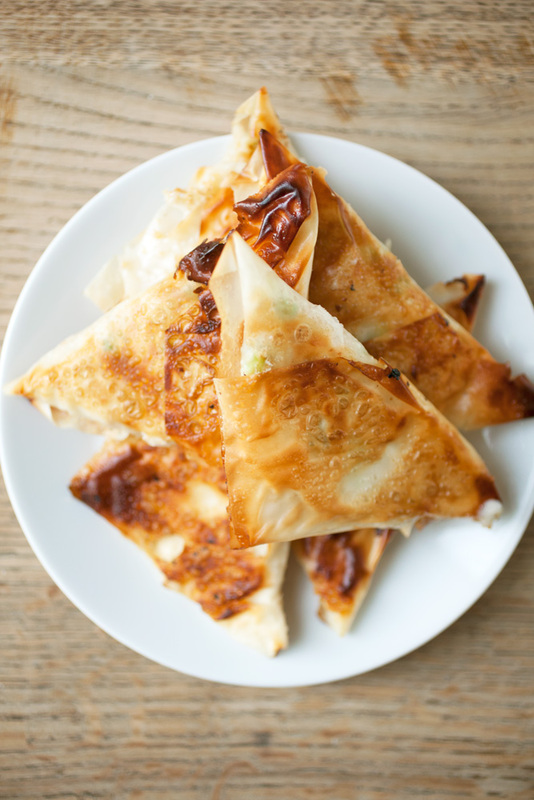 Place one of the borek in the pan. If it sizzles slightly then the oil is ready. 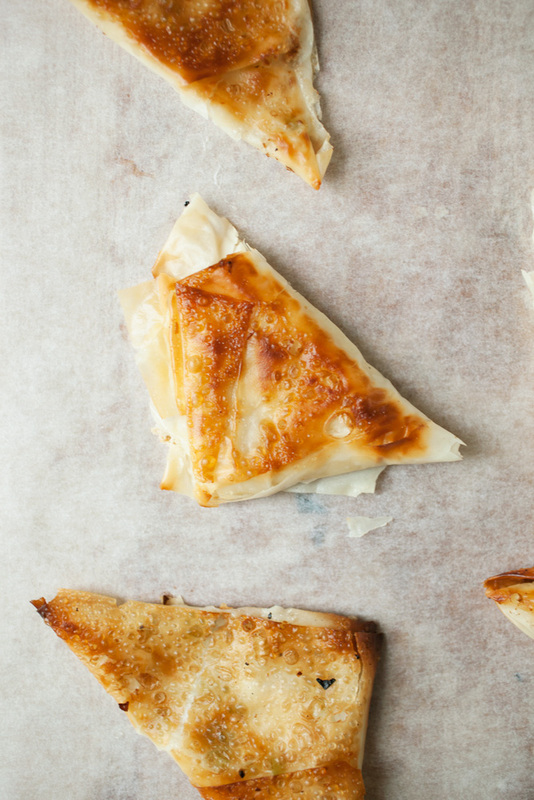 Fry on both sides for about one minute until the pastry has turned golden. Drain on a plate with some kitchen towel. Serve immediately.